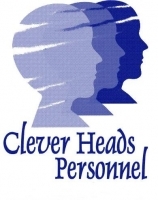 Recruitment: We recruit or headhunt candidates based on client specifications from suitable recruitment sources. We have an extensive database of candidates, but will also use other methods to find suitable candidates for our clients. Interviewing: Trained consultants conduct in-depth personal interviews to find a suitable match between the client and the candidate. For senior level positions we can conduct competency based interviews on client request with a subsequent report for the client on the outcomes. Referencing: Our referencing procedures include verification of references given on the CV. If so required at an additional cost, a neutral registered Psychometrist will be instructed to conduct detailed personality and aptitude assessments. Criminal checks, credit checks and validation of Qualifications and ID checks are available on request at an additional cost. Screening: We select the best-suited candidate/s and give a brief evaluation to the client on our findings. The client can then select the most suitable candidate/s to interview or appoint. Listing 9 jobs posted within 120 days!